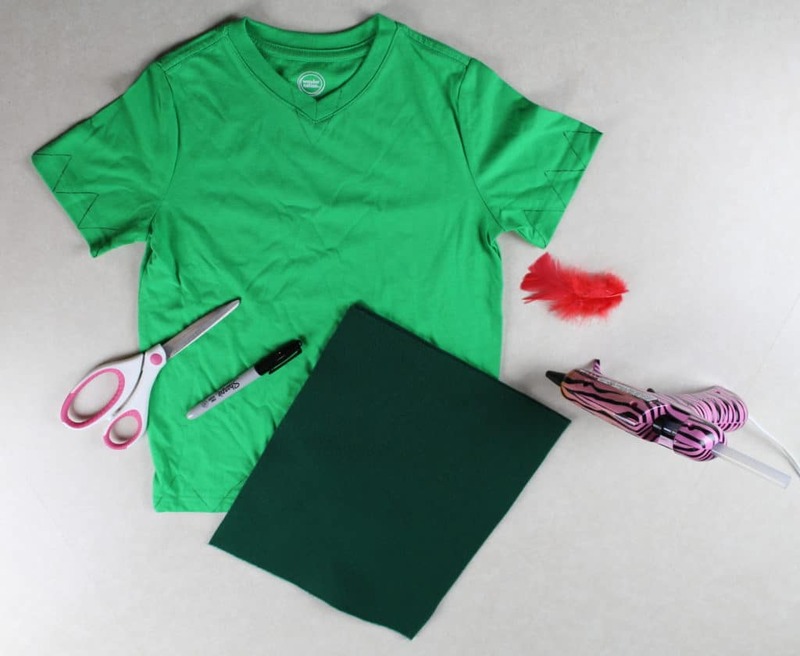 If you are looking for an easy costume idea, then this Peter Pan costume is exactly what you need. 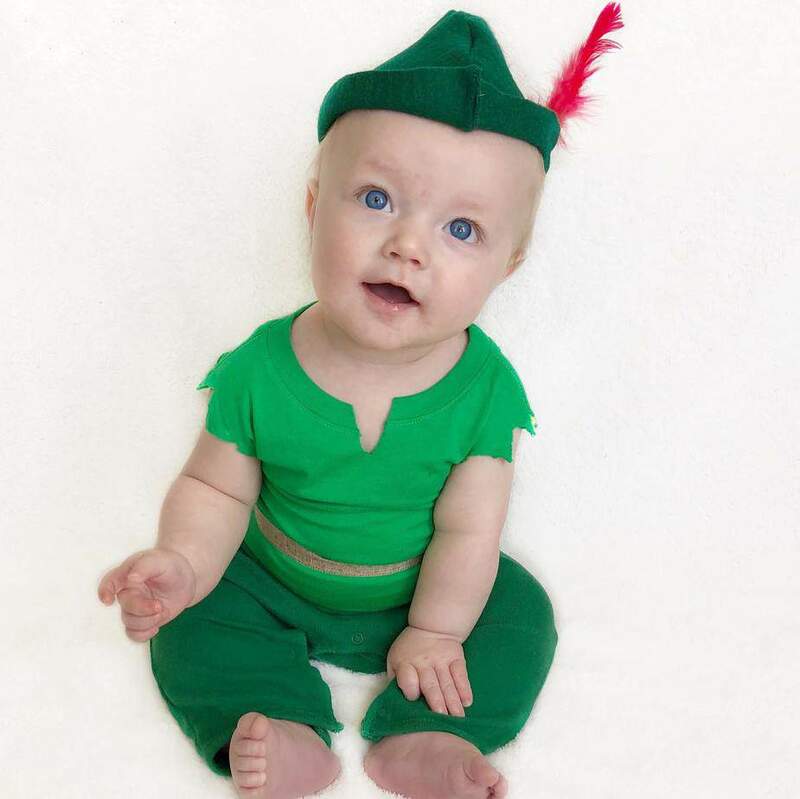 The best part about this costume is that no sewing is required. 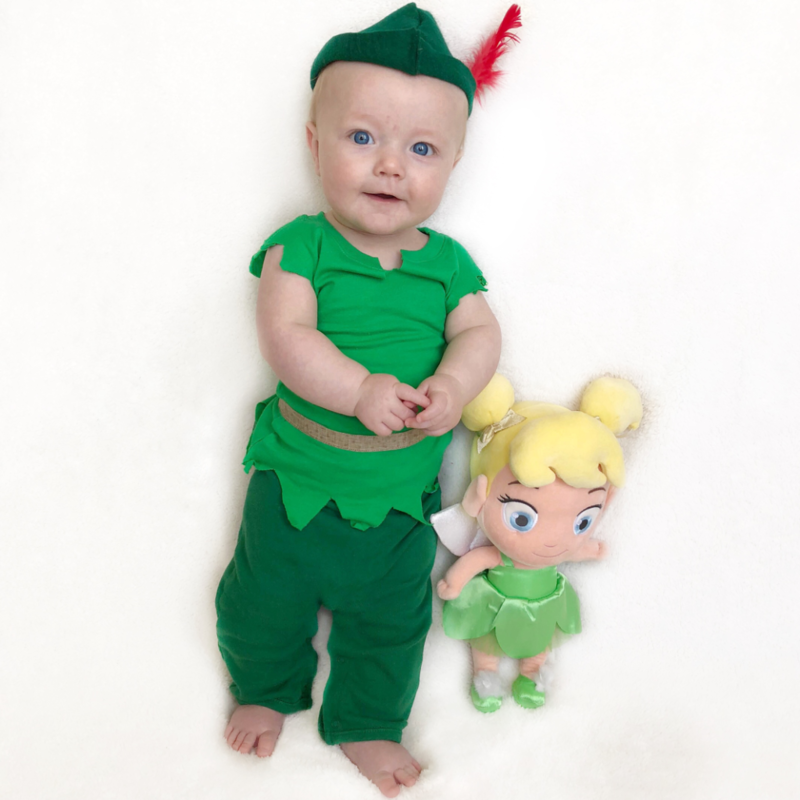 All you need for this costume is faith, trust and a little Pixie Dust (aka hot glue). If you would like a video tutorial for this costume, check out our segment on Good Things Utah. 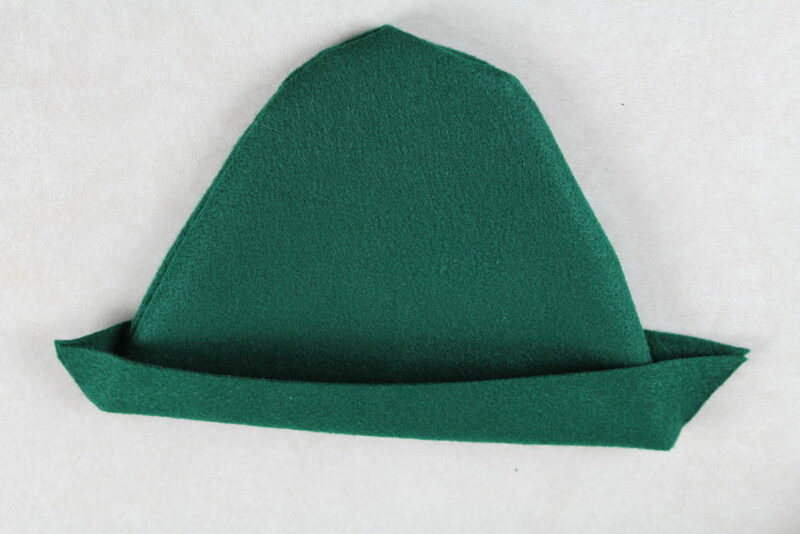 To start making the hat take one of your green sheets of felt and draw a hill shape. Note: Depending on the head size of the person who will be wearing the hat, you may need a larger sheet of felt. You will want the width at the bottom of the hill shape to be at least half the diameter of the subjects head plus a couple inches. 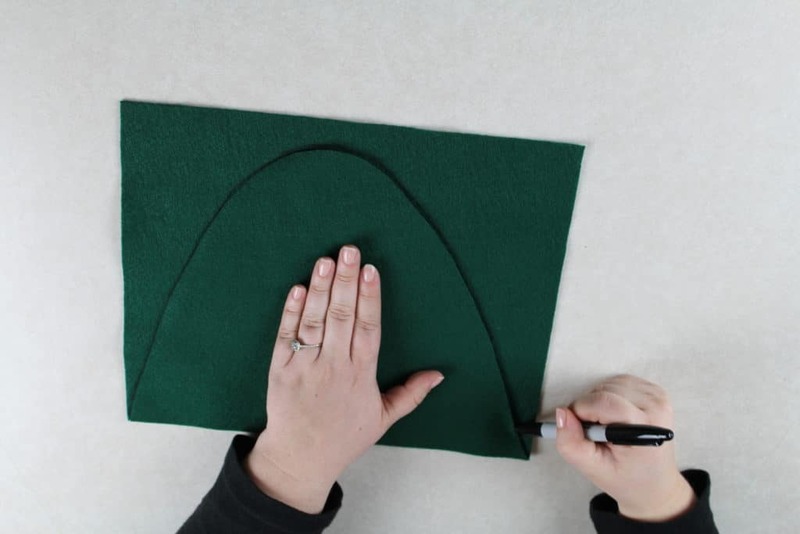 Once you have the shape drawn on one piece of felt, use your fabric scissors to cut it out. 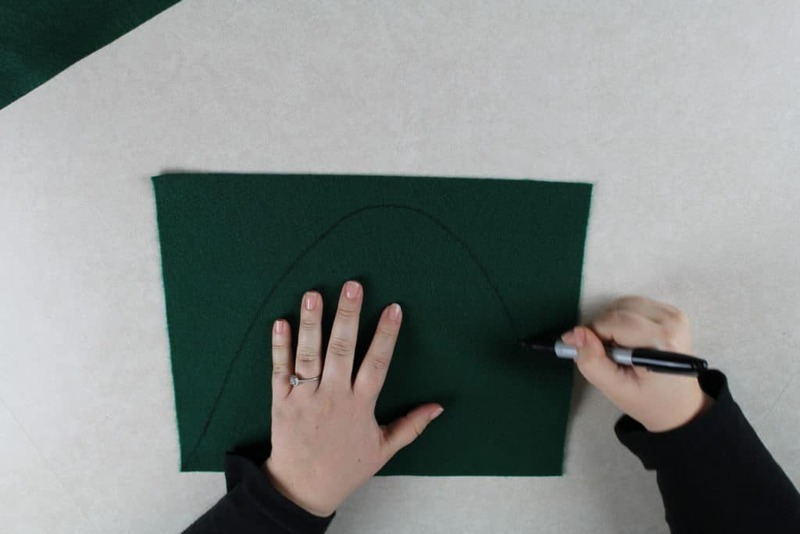 You can use that shape as a stencil to draw the shape on the second sheet of felt. 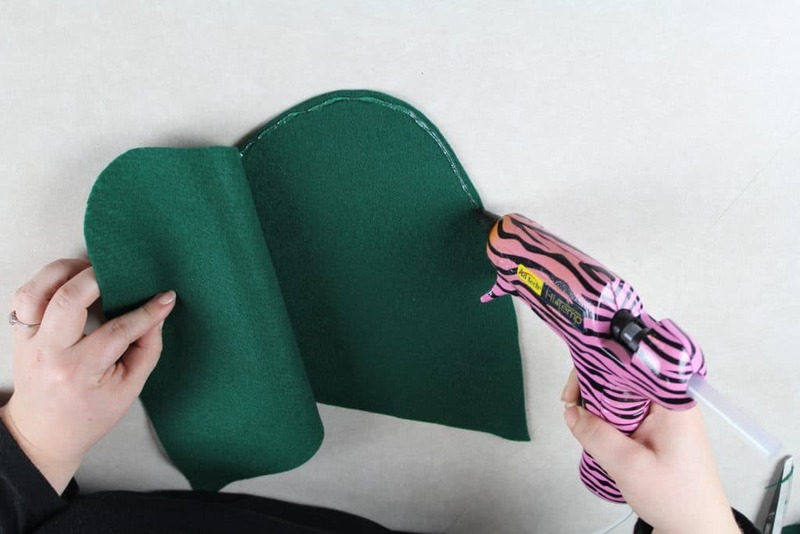 Now that you have both pieces of felt cut out, it is time for the that magical Pixie Dust aka hot glue. Start at the bottom of one end and slowly start glueing down as close to the edge as possible. You will want to press down the edges as you work your around the hill shape. DO NOT glue the flat bottom edge of the hat. Once you have glued around the edges, gently press down with your finger and let the glue set for a few minutes. Once the glue is set, gently reach inside from the bottom and grab the top of the hat to turn it inside out. 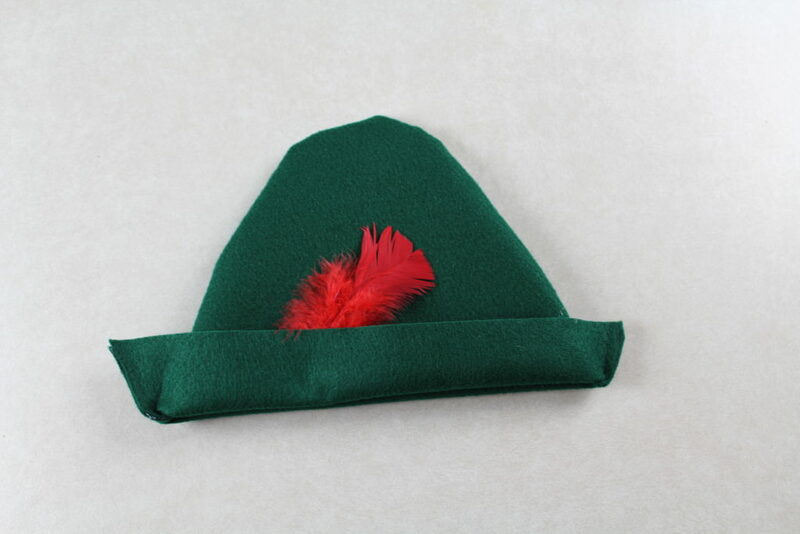 Once the hat is inside out, fold the bottom edges of the hat up about an inch. As you can see the hat is just about finished. We just need to add the finishing touches by adding a red feather with a little hot glue. 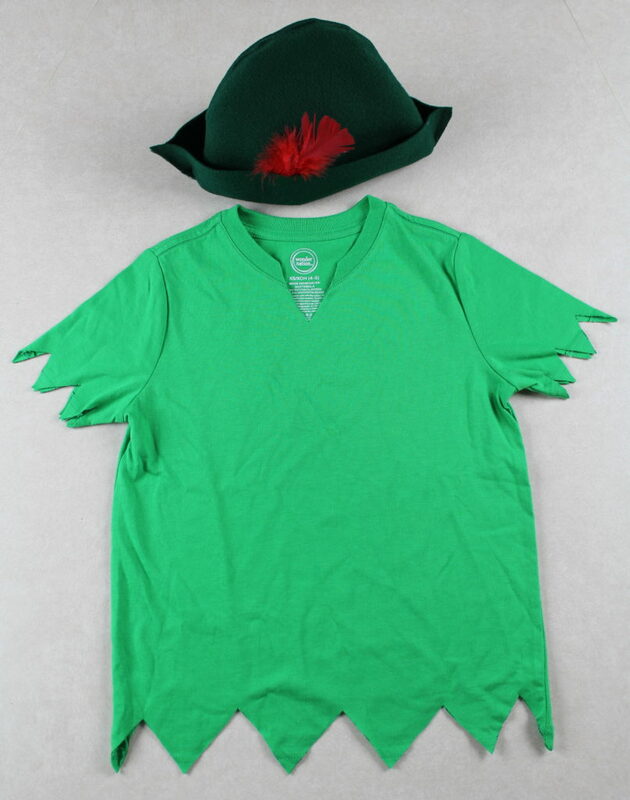 If you have seen any Peter Pan movie, you will know his shirt has triangles on the arms, along the bottom, and at the collar. We can achieve this same look with some scissors. Turn your shirt inside out to draw the triangles on the edges of the arms and bottom of the shirt as shown in the picture below. Turning the shirt inside out will keep the front looking clean if you don’t cut perfectly on the lines. Now simply cut out all these triangles. A trick we have learned is to start at the bottom and cut up from both sides. This makes it a lot easier and quicker to cut the shirt. 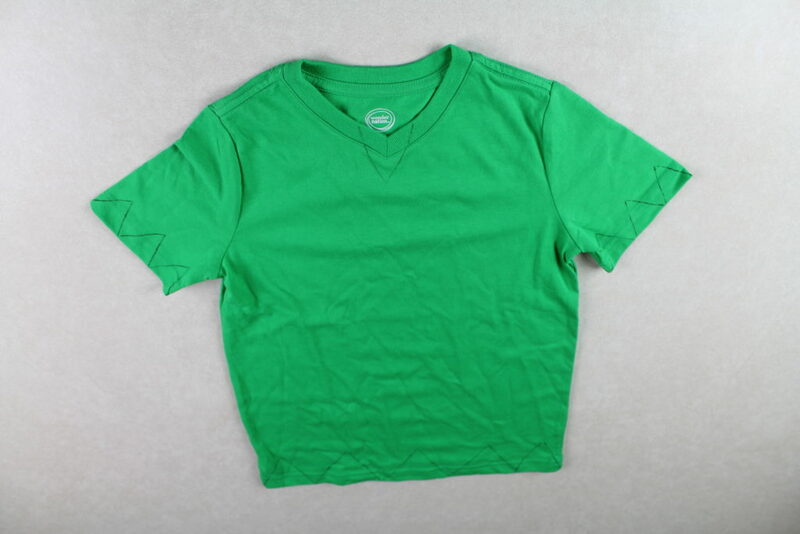 One thing to note is that with a thin t-shirt like this, the triangles will begin to start curling up. We have been able to combat this by ironing down the triangle edges with liquid starch. Congratulations, the hard part is done! Now all you have to do is throw on some green pants with the shirt and hat. The final touch is to tie a piece of brown ribbon around the waist and you are done. 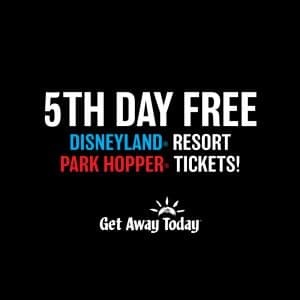 Now give yourself a high five and go take some fun pictures with this new costume. If you end up making this costume, I’d love to see it. Just tag @ToyStoryDad on Instagram!